More than anything else, the hardscapes you add to your landscape give it structure and aesthetic appeal. Hardscapes include paths, patios and driveways and you’ll find numerous materials at your local landscaping supply company from which to choose. Slabs of rock are usually the costliest materials for edging and building materials, but smaller rocks are a durable and affordable option. 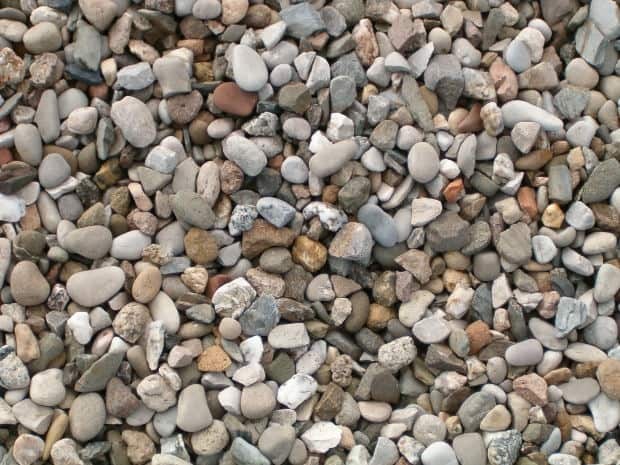 Below, we’ve included information on the most common types of landscaping rocks: pea gravel, gravel, crushed stone, river rocks and decomposed granite. Slightly rounded and as the name implies, about the size of peas, pea gravel is a long-lasting solution for paths and walkways. It is often used as a mulch in bare areas and is sometimes used under xeriscape-type plants. Pea gravel comes in a variety of colors, and prices can vary considerably, depending on the color you choose. Pea gravel ranges in price from $35 per cubic yard to well over $50 per cubic yard. The main disadvantage of pea gravel is its tendency to travel. If it’s not edged well, you’ll find it in your lawn and flower beds. Additionally, pea gravel is a pain to remove should you ever want to change your garden layout. Finally, like all rock mulches, pea gravel compacts the soil and holds heat, which can damage plants. In most cases, wood chip or other organic mulches work better with plantings. Machine crushed gravel has triangular sides that fit together. This shape allows the gravel to meld together when compacted to form a tight, durable surface. Gravel is used mostly for driveways, although it can be used for paths and patios. When installing it on roads and driveways, make sure the road is properly graded first to allow adequate drainage. Start with larger rocks to form a sturdy base and pour the gravel on top. In most cases, you’ll need at least an 8 inch layer of gravel. Gravel driveways need regular maintenance, especially in snowy areas where snow plows displace the gravel. River rocks come in a variety of sizes, ranging from 1 inch up to several inches across. These smooth rocks create a rustic, natural feel and are often used to edge flower beds or create drainage areas within beds. Costs vary considerably, but river rocks are typically sold by the pound or the ton. By the pound costs range from 5 cents to 35 cents; by the ton costs range from $100 to over $700 per ton. When installing river rocks, opt for a variety of sizes for the most natural look. Weeding chores are difficult with river rocks. Lay down landscaping fabric prior to installation and use a blower to clean up leaves and yard debris. Decomposed granite is simply granite that has weathered to a combination of tiny rocks and silt. Because of its fine texture, it is often used on paths or patios. It’s usually rust-colored and fades to tan in the sun. At about $40 per cubic yard, decomposed granite is reasonably affordable and holds up for a long time. Many landscapers install it in layers, compacting each layer for added durability. You can also add a stabilizer product to it, which glues the pieces together. One disadvantage to decomposed granite is that it can adhere to your shoes or your pet’s feet. If dragged in the house, it makes a bit of a mess and can scratch hardwood floors. Over time, decomposed granite works its way into the soil, and you might need to add more. Installation tips: Lay down commercial-grade landscaping fabric to keep weeds at bay, although these fabrics won’t eliminate every weed. Pull any weeds that appear by hand or apply an organic herbicide. Don’t allow the weeds to get ahead of you. Unless you’re finishing a small area, it’s usually most economical to order rocks by the truckload, rather than buying them by the bag. If I were to ever use rocks and stones for decorating, I would choose either crushed stone, or river rocks. I’m a fan of smooth stones, with a variety of colors. I would love to have a path with some of those stones, or just use them to give my yard a more natural look. Thanks for the information and advice! Is something called 53A gravel? I want to lay river rocks, I also have landscaping fabric and limestone gravel. Should I lay the fabric 1st, then gravel to flatten it out, (reduce weeds more?) then put the river rocks? What is the difference between river wash rocks and river jack rocks? Do either of them ever come with a powder on the rock that must be washed off over time?